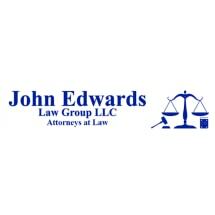 At Edwards & Curtis, LLC, in Canton, Georgia, we are fully prepared to help you achieve the positive results you seek for virtually any legal issue affecting your life, your family, your business and your future. Backed by our more than 50 years of combined legal experience, the attorneys at our law firm possess the skills and resources necessary to help you resolve your legal matter and find solutions for your problems efficiently and effectively. When dealing with any type of litigation, experience does count, and you can rest assured that we will do all we can to protect your rights and interests and help you achieve the most favorable outcome possible no matter how complex or challenging your situation. Built upon a core principal to provide the highest level of representation for those we serve, our law firm has become one of the most respected and trusted full-service legal practices in the region, and we have received numerous positive reviews and referrals from our clients who are fully satisfied with the personalized attention and the exceptional, customized services we provide. For more information on how Edwards & Curtis, LLC, can best serve your needs, we invite you to contact us by phone or through the online form located on our law firm's website to schedule a consultation. Mr. Richard Pettys was very professional and did what he said he would do when he said he would do it. I would highly suggest everyone to hire him as your attorney.